It’s that time of year when Laura’s minions demand satisfaction, and for this year’s happy hour I offer an exotic concoction. Whereas last year was heavy with American history, this year I was all over the place, from Genesis to the trenches of the Western Front. It didn’t have to be this way; I opened the year on a binge with Napoleon, but oddly none of those books made their way to the list you see below. Can’t really say why, because several were fine books. Perhaps I partook too much and got burned out (“I’ll never read Napoleon again!”), thereafter turning to other subjects. I’m glad I did, for another binge made the cut: natural history and the origins of our species. A little tasty something for everyone, as you’ll see below. I think sensible people can all agree that our planet is not 6,000 years old. 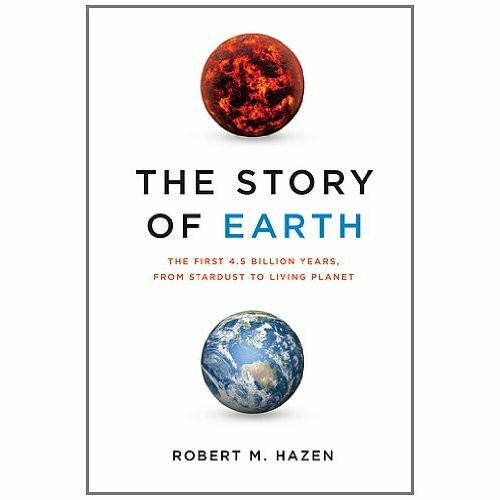 The more interesting discussion, however, is Hazen’s argument that life itself has “changed and continues to change Earth’s surface.” He doesn’t specifically mean humanity (although that is an obvious part of his argument) but rather the totality of life, from the earliest strands of proteins to industrial humankind. Earth itself evolves, for its “rocks, oceans, atmosphere, and life are all interconnected.” Many rocks and minerals found on Earth simply would not exist elsewhere without the chemical byproducts of photosynthesis, protein creation, and other metabolic processes. Fascinating stuff, and astonishing that scientists have been able to piece together the story of our planet’s deep past. You’ll read about the formation of the moon, the creation of oceans and continents, the Great Oxidation Event, the evolution of minerals, and the Earth as an iceball (which is not the more well-known Ice Ages). The Gaia thesis, shaken not stirred by the heavenly bartender. I loved this book; a good read for the non-specialist yet so full of ideas and concepts that a specialist should find it a worthwhile introductory summary of the state of the field. Lots of geology and mineralogy, so this book gives you the opportunity to brush up on your high school chemistry! You won’t regret it. I’m thinking about reading it again. I think sensible people can all agree that homo sapiens has been around for more than 6,000 years. We live in exciting times for paleoanthropologists, archeologists, anthropologists, population geneticists, and historical linguists, social anthropologists, and evolutionary psychologists; their fields like never before are sharing ideas and swapping theories in a bubbling frenzy of ferment. The resulting brew is intoxicating. Wade, a reporter for the New York Times, has written an enlightening summary of the present state of the field. Why do certain populations tolerate lactose? What makes a person sexually attractive? When did we lose most of our body hair (hint: the answer lies in the genes of the lowly louse)? Is there a “God” gene? Wade investigates all of these questions and more, and does so in an accessible manner. 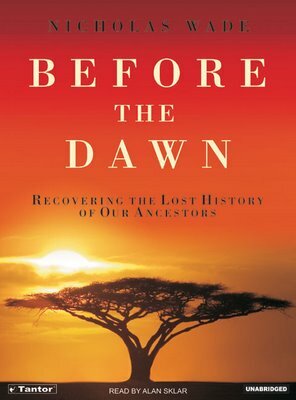 An interesting study for the educated reader, especially if accompanied by Ian Tattersall’s Masters of the Planet: The Search for Our Human Origins and Brian Fagan’s Cro-Magnon: How the Ice Age Gave Birth to the First Modern Humans. Evolution and natural selection are still very much at work among us. Look through Wade’s book and see what may be in store for us . . .
My education in history had a great gap in it: Egypt. But where to find out more about this subject? I couldn’t find a study which covered the broad three millennia history of this strange civilization on the Nile. King Tut? Lots of books on him. Creepy mummies and massive monuments? Lots of books on those, too. Cleopatra? All kinds of books about her. But a summary and synthesis of all these and more? Not so much, and nothing recent. Wilkinson has written that summary, and it’s big. Of course it’s big; he has to cover three thousand years. 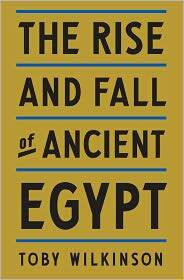 But within this tightly written tour de force lies the common thread binding all three thousand years together: Egypt was an intensely conservative, hierarchical, and brutal society, in which the great mass of people served a handful of individuals who actively cultivated a religion in which they were divine. Most ancient societies thought the Egyptians weird, and you will too. Wouldn’t want to be one, even thought their monuments will far outlast anything we moderns have built. The title pretty much sums up this book’s subject matter. Weidensaul looks at the first century or so of English (and French and German) migration to the Atlantic coast of North America and discusses how the Europeans and several American Indian societies interacted with each other. Sometimes they were peaceful, sometimes they weren’t. The land between the Appalachians and the Atlantic became a potent mixture of diverse cultures freely borrowing from each other at one moment and savagely resisting each other the next. Sprinkled about like yeast atop the wort are some truly unbelievable characters, otherwise totally (and undeservedly) lost to history, restless souls easily slipping from one culture to the next. Their stories could be books unto themselves. A good piece of scholarship. 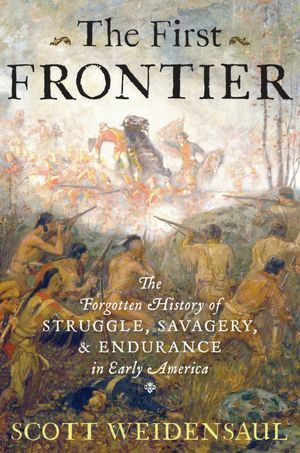 Plenty of good stuff about American Indian contributions to early American culture, history and geographical place-names. Another rediscovery. I remember reading this one back when I was in grade school; the local public library had a copy and I must have read it a couple times. Probably one of the first indications that I was destined for a degree in history. Oh, would I have never checked this book from the library! But it has such good stories to tell, all collected and published in the ‘70s. Berry, bless him, determined to compile first-person accounts of the Doughboy before the old trench-fighter passed on (remember that in the ‘70s the majority of those World War I veterans were octogenarians and older). In their later years these old fellows were often overshadowed by World War II veterans. 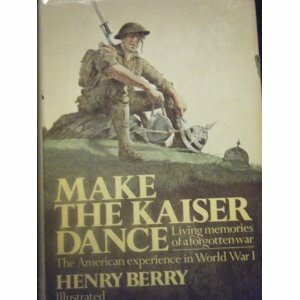 Berry recognized that their memories of serving during World War I were in danger of being lost. One problem, however, with this collection: nearly all of the veterans interviewed are moderate- to well-off sons of the Northeast, with college educations and successful post-war lives. A rather select group, indeed, but it doesn’t detract from the fact Berry has recorded some important memories (such as the Doughboys universally despised the YMCA, which, unlike the Red Cross, sold rather than gave away cigarettes to the troops. Really, where would a person ever learn such a thing?). by Aloys Winterling goes where no Roman historian has gone before: Caligula was misunderstood! Of course I simplify greatly, but he does make a compelling argument. So there you go, my blog(bar)fly companions, from basalt and photosynthesis to cigarettes and the YMCA, with a dash of Caligula. Yikes, that’s some cocktail! Imagine googling that combination of words: basalt photosynthesis cigarettes YMCA Caligula. You’ll only get one hit, and that would be my lovely, beautiful, and intelligent wife’s unique blog, 11-D. Happy Holidays, minions! Can I use the book recommendations without agreeing to “minion” status? They’ve worked well other years. Nope, if you use the book recommendations, you are automatically agreeing to be Laura’s minion. It was in the invisible shrink wrap agreement we all telepathically signed when we read the blog. Wade’s prose is excellent, but I wouldn’t trust him much on historical linguistics. Were you stamping your pretty little feet when you declared, “I’ll never read Napoleon again!!!”. Love this list – I wait for it each holiday season.